This project involved the construction of a new building facade. 25 years previously the building was office space before a change of function to carparking and staorage. 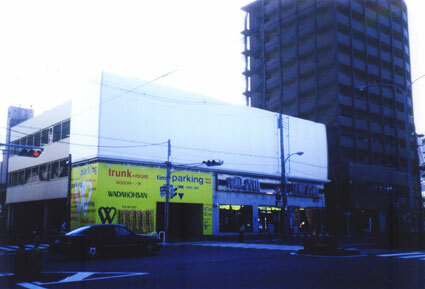 Once the symbol of Nagata, the structure lost charm sometime after the departure of the commercial tenant. We thought this building could regain some of this lost charm and interest and designed a Teflon film facade to act like a public screen.